The Millennium Trophy will be held on MONDAY, 1 January 2018. This event is open to all boats. The Notice Of Race is appended below. 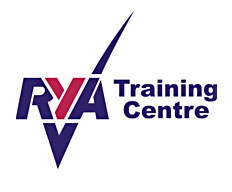 2.1 The racing will be governed by the Racing Rules of Sailing and the RYA prescriptions. 2.3 Competitors will be required to wear adequate personal buoyancy at all times whilst afloat – except briefly while changing or adjusting clothing or personal equipment. Wet suits and dry suits are not personal flotation devices. 3.1 Entry is open to all boats. 5.1 The racing Programme will be generally as described in the Sailing Instructions. It is intended that a briefing will take place at approximately 11:00 a.m. It is intended that the warning signal for the first race will be made not before 11.30 a.m.
7.1 Scoring system shall be as in the Sailing Instructions. 7.4 An award will be given for the overall winner and winner based on personal handicaps in the Laser and GP 14 classes. All other boats will sail for a Menagerie class award. An award will be made for the Best Newcomer and Junior Crew.